Welcome to CADASIL France website ! This website, originally written in French, contains information about the disease, diagnosis, patients care and evolution of research. It is also noteworthy for English-speaking visitors to have access to this information as well. Therefore, thanks to the help of a volunteer to whom our association wish to thank heartily, we are currently in the process of translating into English the articles of this website. We begin this task with the most relevant articles. CADASIL France is an association of people touched by this disease and their families. Its mission is to accompany, support and inform patients and their families, promote efforts of clinical and fundamental research with the hope of finding, one day, effective treatments against this disease. In France, since the creation of referral centers, the CADASIL disease has been associated with CERVCO (CEntre de Référence des maladies Vasculaires du Cerveau et de l'Oeil: Reference Center for vascular diseases of the Brain and Eye) which combines the competency of the Neurology and Genetics Department of Hospital Lariboisière in Paris. Our site has four sections. You can click on each one of them to further see respective sub-menus. They will bring you articles which we are convinced, will help you in your research on the life of our association, the disease, the state of scientific research, or in your search for relevant information. Although this site is not an official medical website, its medical and scientific papers have been reviewed and approved by the medical team of Neurology Department of Lariboisière Hospital in Paris. 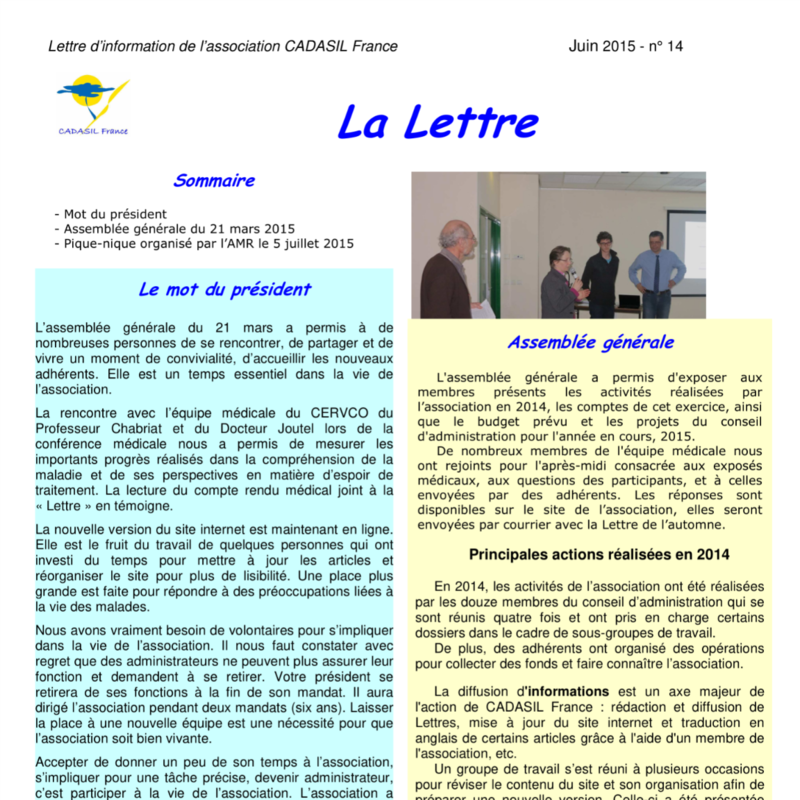 Scientific reports of the general assemblies have been read and validated by participants. The National Health Authority (HAS- Haute Autorité de Santé) under the Ministry of Health in France, has approved the National Protocol for Diagnosis and Treatment (PNDS- Protocole National de Diagnostic et de Soin). This document was posted online on the Internet and made available to the public. This is a valuable document to help understand the disease. 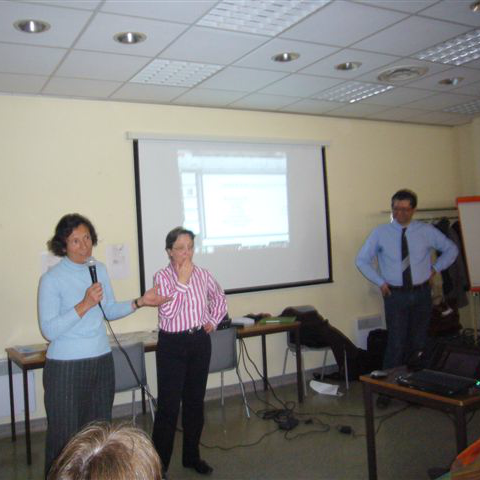 It is of valuable assistance for physicians: (http://www.has-sante.fr/portail/jcms/c_1069510). Finally, the Orphanet website has just made available online an informational document on the emergency care of patient with CADASIL syndrome.